Have you considered a beach setting for your wedding? A beach wedding can be a unique and memorable way to celebrate your love and will give your guests fond memories of your big day. From the lapping waves to warm sand and hot sun, you will be hard-pressed to find a better way to seal your love with your partner. Moby Dicks is an excellent choice when it comes to beach wedding venues. Here are a few reasons why we love Moby Dicks Whale Beach. We hope you will find this information helpful and agree that Moby Dicks Whale Beach is the perfect setting for your fabulous beach wedding! With up to 150 seated guests, you will have flexibility on size options whether you are looking to have a big party of a wedding or a cozy intimate celebration. You will also be provided with food and beverage options that will please and delight the senses and give you a variety of options to choose from. The creative interactive dining experience is a major selling point and the expert chefs will work tirelessly to deliver taste that will not disappoint. What more could you ask for? When it comes to weddings, one of the most important considerations is the photography. Memories are fleeting but the pictures are how you will immortalize your day forever. Moby Dicks Whale Beach will provide you with a picturesque setting that will give you breathtaking photos with its panoramic backdrop of the gorgeous beach. If you are looking for a place that will provide you with stunning pictures to commemorate your special day, Moby Dicks whale beach has what you are looking for. If you still are not sure if Moby Dicks Whale Beach is the venue for you, please do not take our word for it. This is what other customers are saying about this gorgeous setting. 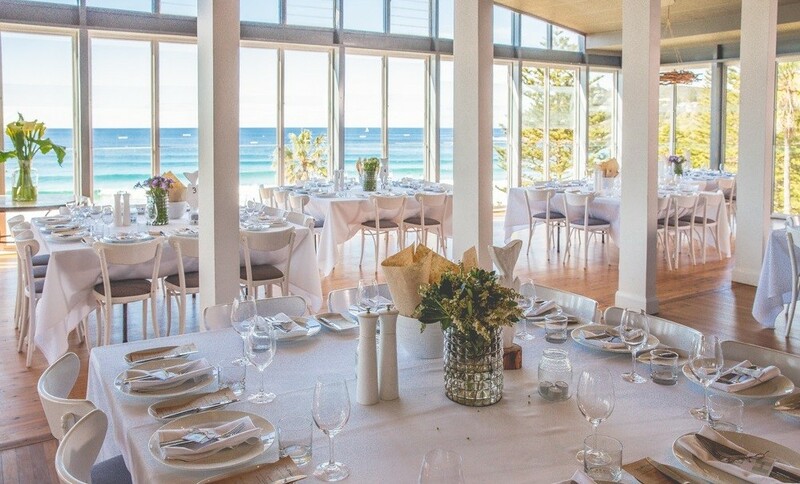 The food was absolutely amazing and so fresh, the service was excellent, the room was perfectly decorated and the view is looking out to the beautiful Whale Beach. Once you have decided on the right venue for your wedding, you will need to choose the best wedding band and wedding singer to make your special day complete. Lily Road is your source for excellent wedding entertainment. We have talented wedding singers and a great selection of songs for weddings. If you are ready to book a talented Sydney wedding band, please contact us today at greg@lilyroad.com.au. We look forward to making your dream wedding a reality.